A team of British researchers, led by Leif Richardson, has published a report to show that nicotine, caffeine, and other plant chemicals keep bumble bees from contracting fatal diseases that might decimate them – courtesy of the plant chemicals they consume via plant nectar. Scientists from the University of Massachusetts and Dartmouth College in New England analyzed eight nectar compounds on bumblebees that were intentionally infected in the lab with Crithidia bombi, an intestinal parasite that is spread in the feces of bees and which compromises their reproductive rates as well as the chances of surviving during winter. Four plant compounds were used to treat the bumblebees against the parasite, with varying results. An alkaloid called anabasine , found in a species of wild tobacco called Nicotiana glauca, had the strongest impact – it reduced the parasites by 8%. Thymol, found in the common lime tree (Tilia europaea) reduced them by 67%; nicotin, also found in tobacco reduced parasites by 62%; and catalpol, found in a North American plant called white turtlehead (Chelone glabra), by 61%. Plants release fluid chemicals that repel herbivores, but attract bees and other pollinators. 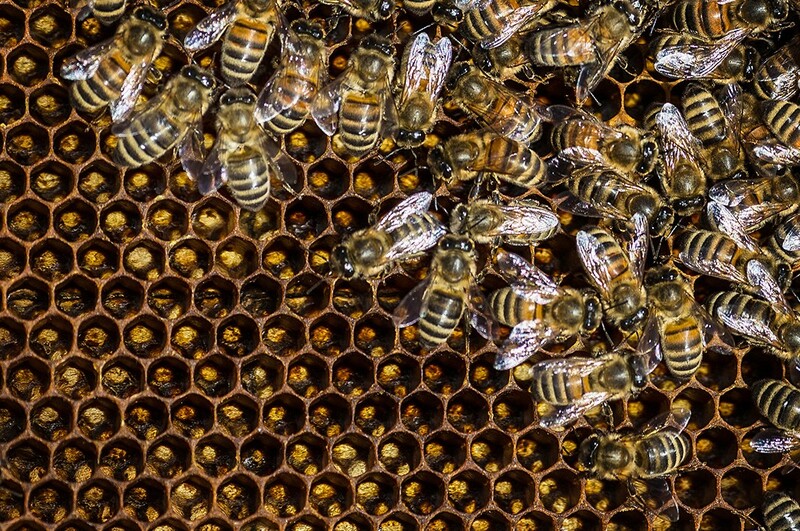 Nicotine and caffeine among others listed in this piece benefit honeybees against colony collapse disorder prevalent in North America and Europe. When bees identify wild plants that possess pollen and nectar and the anti-parasitic compounds that give them the immunity they need against infectious diseases and fatal diseases, it helps them to live longer and healthier.